If you are trying to boost search engine optimization for the new day, there are some things that you need to change. In the past, getting your SEO efforts to land you on the top page of the search results was good enough, but that was for those who were relying purely on desktop and not mobile users. But with Apple reclaiming the number one spot for smartphones, thanks to the iPhone with Siri, local listings and higher search engine results placements became more important. In a flash, the old days of top pages being enough were gone. Now, if you are not in the first three positions, it is unlikely that your listing will be viewed, especially by those iPhone and other smartphone users. How many people could that be? According to the IDC-Worldwide Mobile phone tracker, Apple just sold 37 million of the new Siri enabled iPhones. In addition to those 37 million, there are millions of others using other types of smartphones. 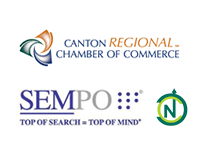 Nearly 97% of people use Google and other search engines to look for businesses and their information online. In fact, one in every five searches is initiated to find a business location. In most cases, these searches will want local information whether it is someone local looking for a new restaurant or a new professional service provider or someone from out of town that is trying to find all the attractions offered by that city. Taking SEO efforts to the next level requires the use of locally based reviews, including those listed on Yelp. Yelp is an online city guide service that helps connect locals and out of town visitors to businesses in a number of categories. Each person has the ability to write their own Yelp review of the company or business, which are then used to push search engine results higher. 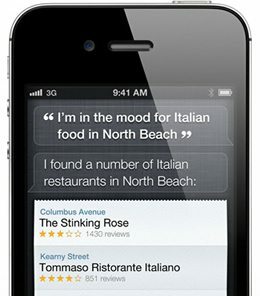 According to search engine optimization experts, Yelp reviews are one of the primary keys to optimization when using Siri. That software, which allows you to ask a question and get a real time answer, learns personal preferences as well as the best local options through the search engine results pages. Siri will typically offer the top two or three results before asking if you want more options. Most users will take those first suggestions and not ask for more. Yelp reviews function on a 30 day cycle, meaning that your search engine results can be pushed higher within a few days of getting the first few reviews, but may drop if there are no new reviews in that cycle. Additionally, the more reviews that there are for each site, the higher the search engine results will become. In addition to Yelp, there is another method of pushing your local search optimization higher. Google Places, which has a more localized search feature, can be a big benefit to both business owners and business users. It has a number of advantages, including being available to stores that do not have a physical storefront or allowing multiple locations to be listed. That means that someone can use their smartphone, search for your business and be shown several location options to choose from. → Outsourced Marketing: Does It Make Sense for You?